The security market is one that demands constant innovation to keep up with the latest threats and provide customers with levels of protection they can trust to keep their data safe. In the past few years of economic hardship, the security industry has been a beacon of continued spending, and events such as Infosecurity Europe and the RSA Conference continue to be well attended. But those driving the industry are only too aware that they cannot afford to take their foot off the pedal of innovation to cope against ever more sophisticated threats. 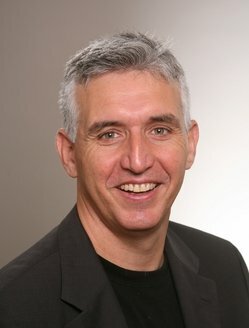 Amnon Bar-Lev, president of Check Point (pictured), says the stakes are higher now, with advanced persistent threat (APT) attacks also becoming more common. "The attacks have become much more sophisticated and the attackers are using social engineering. It is very sophisticated stuff," he says. opportunity to inform and influence the strategy. 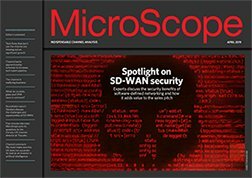 "Resellers selling security expertise are converting this knowledge into services, so it is not just about integrating the product," says Bar-Lev. Expanding services sales is not something that every reseller will want or be able to do, but Bar-Lev is encouraging those at the highest levels of Check Point's channel accreditation to head in that direction to ensure that they are positioning themselves as partners for the long term. He points out that making the move from integrator to consultant may sound simple, but it is not, "but there are people who embrace that and give more knowledge and more tools". In response to the suggestion that those selling security can take it easy because the market is, to a degree, recession-proof - or is at least seen that way by many - Bar-Lev points out that as a sector it is not immune from economic pressure. "We see some vendors that overperform, but others under-perform. You have to bring very good product to the market, and security is something like 4-6% of the market, and that is the place where we are. But it is not immune from the economic downturn," he says. Areas offering potential for future growth include securing the cloud and protecting firms in the face of the growing consumerisation trend. industry, is addressing, with features including remote wipe. and it is a good fit. "There should be a good reason to buy, depending on if it fits. But you have to find them," he says. Whatever happens in the future, Check Point will remain committed to the channel. Bar-Lev believes that using resellers is "the right approach", and even when it has acquired firms that have not used partners it has introduced them to a 100% indirect model. The future, according to Bar-Lev, is one where partners will have to talk more about services and be prepared to deliver consultancy levels of support to customers as they face a landscape of increasingly sophisticated and targeted threats. The security sector might not be immune to recession, but for those pitching the right products and services, demand from customers trying to protect their data is unlikely to diminish any time soon.